Do these curved items look like they belong to an animal? Well, you would be right. 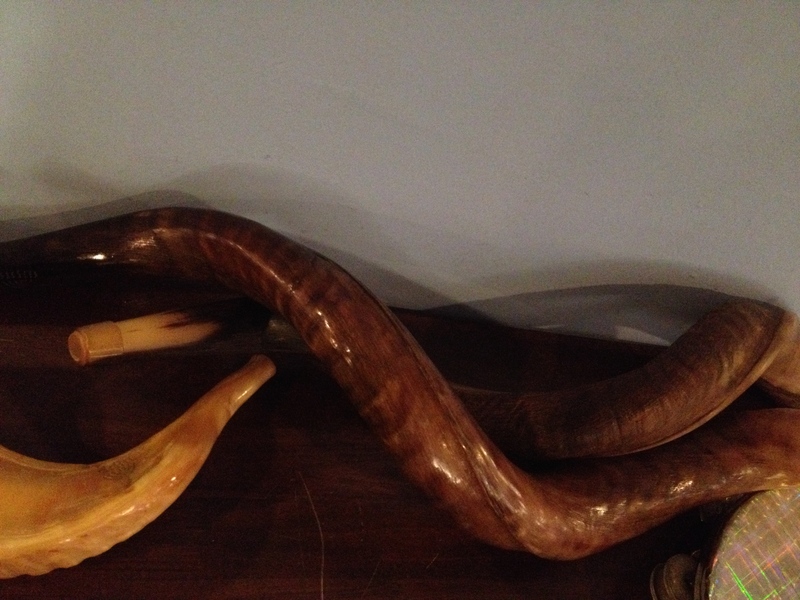 These are shofars. They are made from the horns of animals such as the ram for the shorter shofar, and the antelope (such as the Kudu) for the longer and more curved ones. Blown correctly, they can sound like trumpets and other wind instruments. I have heard some play these as if they are indeed musical instruments. What skill! Listening to them makes me want to buy saxophone or clarinet or SOMETHING to make some musical notes. In fact, a saxophone would be so nice – I love the mellow sounds. This entry was posted on 04/11/2014 at 22:55 and is filed under Music. You can follow any responses to this entry through the RSS 2.0 feed. You can leave a response, or trackback from your own site.